Belfast’s Titanic Hotel is the venue on February the 18th for the 2019 launch of the Taste of America Roadshow. If you have received your invitation please register as places are limited. Aer Lingus will be giving away some amazing prizes and all USA trade partners will also have a lot of spot prizes for you to win on the night. 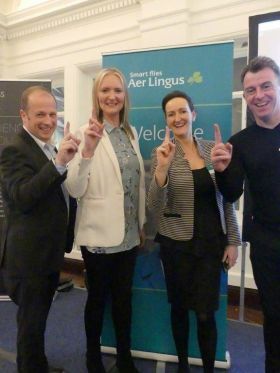 The Aer Lingus team of Andrea Hunter, Jenny Rafter, Ivan Beacom, and Dermot Lee will be there to welcome you all on the night along with all of our USA trade partners. Travelbiz will be there to see you all and grab some pictures and interviews. So be sure to smile and don’t miss what is going to be a great night.